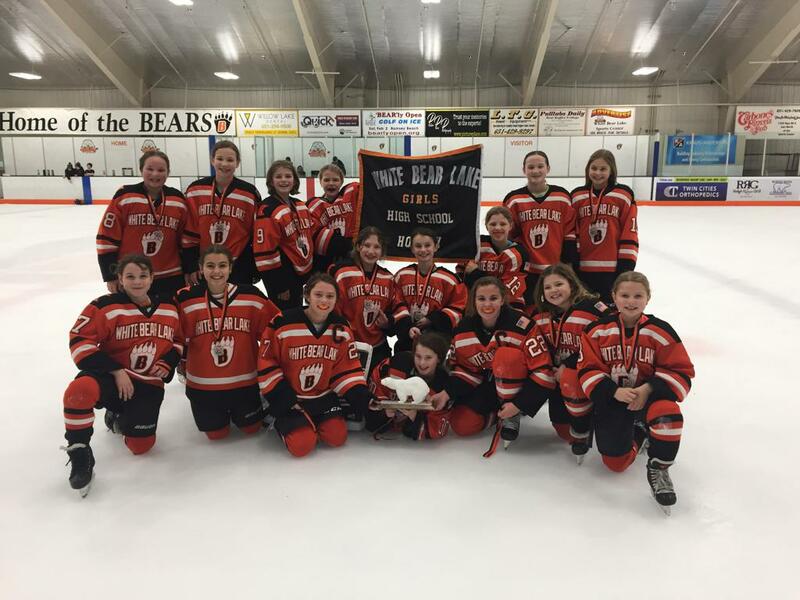 BEARS Summer Training Program (STP) is for players who will be in the mite/8U level for the 2019/2020 season and who want to be a part of the great tradition of White Bear Lake hockey. We will reinforce the skills, attitude and concepts that will keep WBL one of the top programs in the state all while having a fast-paced, great time! Coaching Applications for the 2019/2020 season are now being accepted. Amazon will donate .5% of eligible expenses to WBLAHA by registering through Amazon Smile. The Schwan’s™Hockey Mom Hall of Fame program in partnership with the Minnesota Wild recently wrapped up last week. 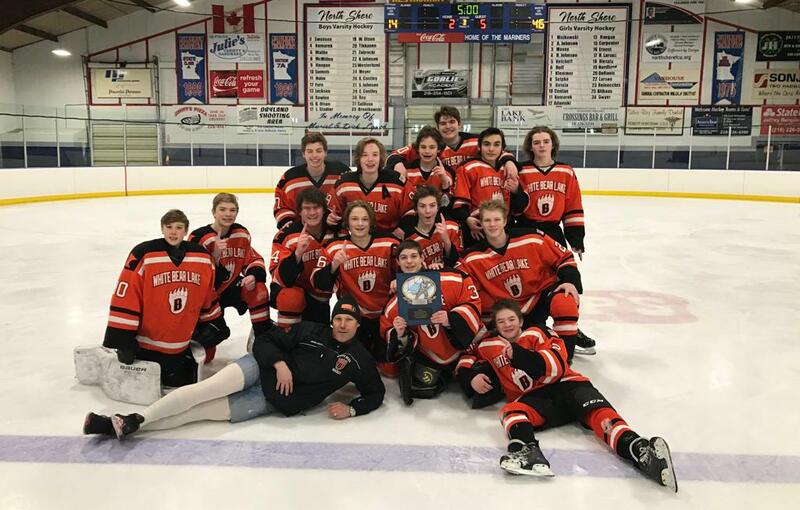 During the Wild's second to last regular season home game on April 2, White Bear Lake's Gretchen Mattson was announced as the 2019 Schwan’s Hockey Mom of the Year at the Xcel Energy Center in St. Paul. After the announcement, Mattson was received a special Minnesota Wild “Hockey Mom” jersey and a gift card for Schwan’s Home Service. 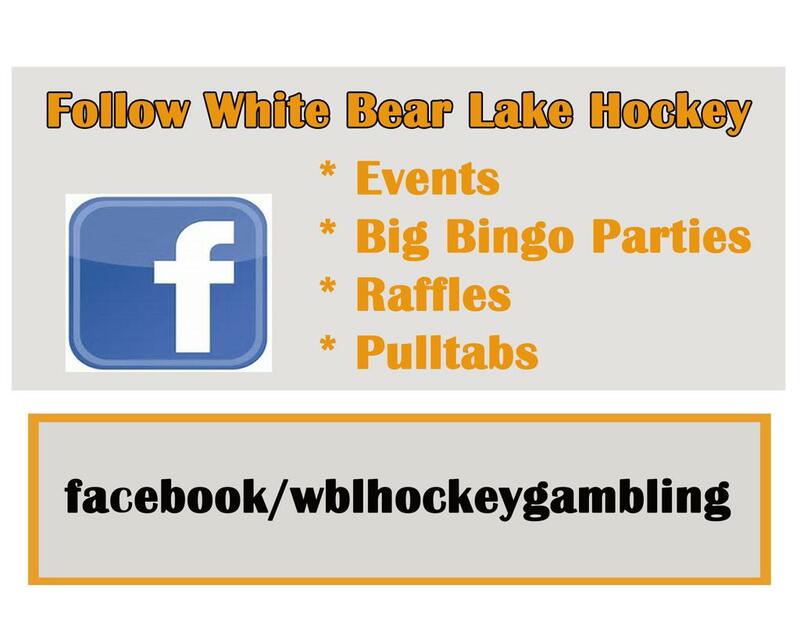 To be eligible for the Schwan’s Hockey Mom Hall of Fame program, the hockey moms needed to register at www.wild.com/hockeymom. 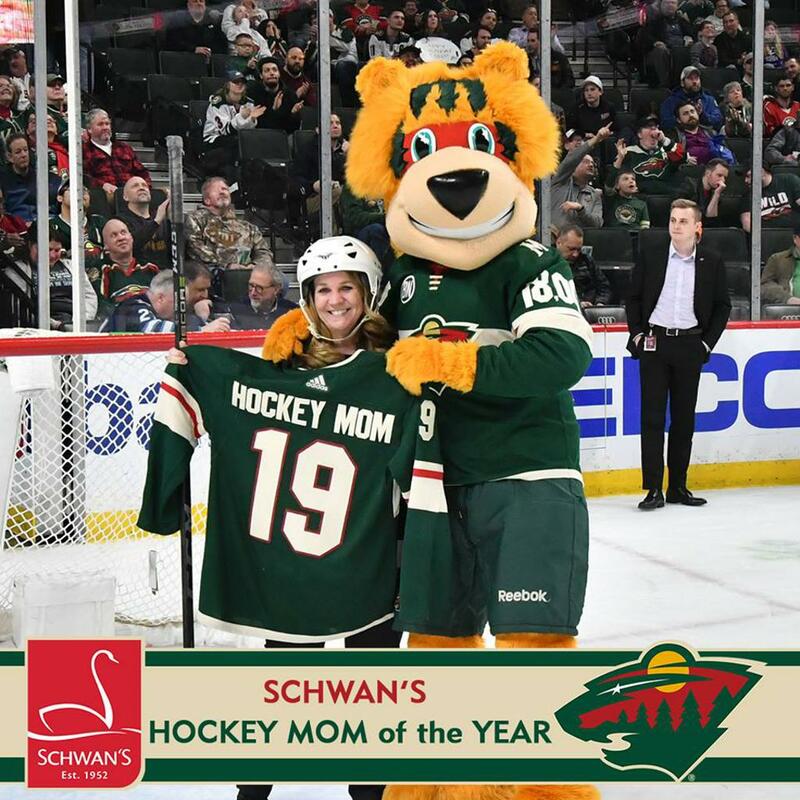 At each Wild home game, a Schwan’s Hockey Mom of the Game is randomly selected by the Minnesota Wild’s promotions team. All of the game winners are then put into a drawing to be selected as the Schwan’s Hockey Mom of the Month. At the end of the regular season, all of the Hockey Moms of the Month are brought back and the Schwan’s Hockey Mom of the Year is chosen. This was Schwan’s sixth year sponsoring the event program during the Minnesota Wild hockey season. YOUR SUPPORT CAN HELP UP US MAKE A DIFFERENCE! 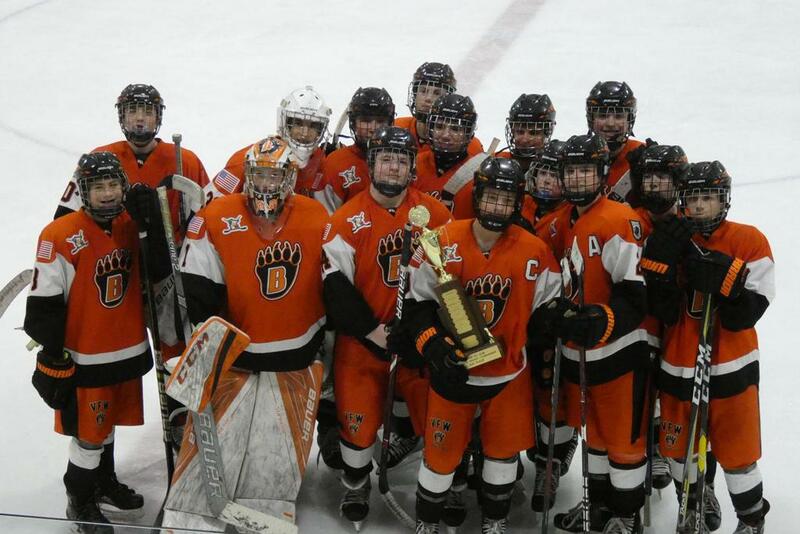 To be enshrined, simply complete this form, attach your team trophy photo and submit! 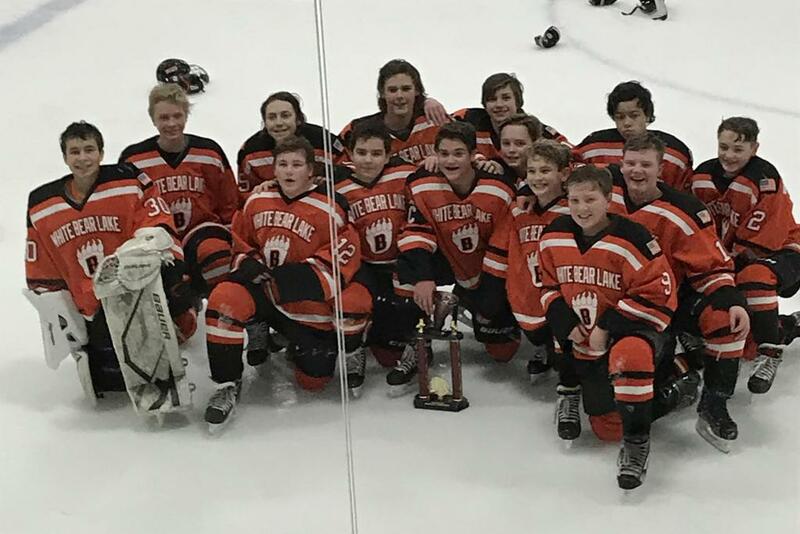 ©2019 White Bear Lake Area Hockey Association / SportsEngine. All Rights Reserved.